For over 25 years, Mike has been working in the Broadcast Television industry acquiring marketing experience from coast to coast with companies such as Paramount, COX, Viacom, CBS and Hearst. 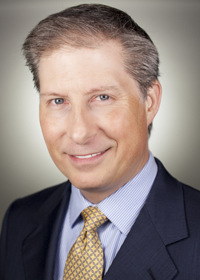 He joined Sinclair in October 2013 and moved to West Palm Beach as General Sales Manager of WPEC CBS12. He was promoted to Director of Sales in April 2015 and now oversees all aspects of Sales for the company's four television stations and digital platforms here. "I am a Broadcaster and Marketer committed to growing the businesses of our advertising partners and serving our community. I am passionate about the medium because Broadcast Television is the most powerful way to deliver a message, and the only means of delivering that message to a large number of people simultaneously. It's the only mass medium left. It works, and I've witnessed its power and influence time and time again." Mike was born in Boston and spent his childhood moving around the country as his father's career in the Broadcasting and Entertainment industries progressed. He graduated from Miami University with a Bachelor of Science degree in Mass Communications and a minor in Film Studies. Mike is married with two grown children and is a resident of Palm Beach Gardens. He enjoys music, golf, bicycling, wine, fine dining and, of course, television.